Recently the lovely Tanya Burr relaunched some of her products along with releasing three eyeshadow palettes and a brow palette. My parents kindly bought me some for my birthday and as I haven't seen many posts that included close ups of the products or swatches I thought I'd do a post about them, because personally I really dislike ordering something online without seeing swatches so hopefully this will help! This is a first impression of the products as I've only used each a few times so far so I'm sure I will do a in depth review after a while. This post is photo heavy so just a warning for when you click that read more button! 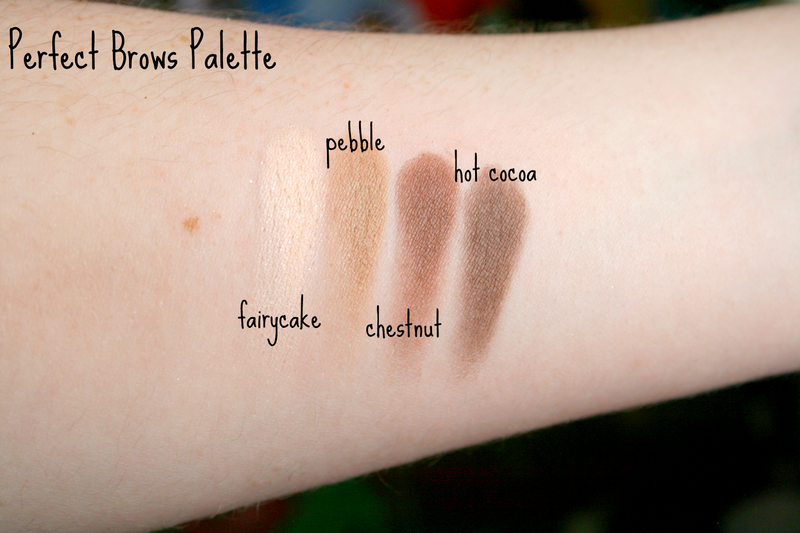 Firstly I'm going to start in the wrong order of how the photos are and talk about the Perfect Brows Palette. This retails at €9.87/£7.00 and it is worth every single penny! Before this my holy grail was the Collection Brow Palette but as soon as I tried this out I wanted to throw my Collection one across the room to never be seen again, this palette is just pure and utterly gorgeous. Consisting of three brow shades which are spectacular I must add and a highlighting shade. I really love the fact that the brow colours don't have any red undertones in them and I just want to shout halleluiah from the roof because of this! The highlighter shade 'fairycake' is such a gorgeous subtle colour with a slight shimmer in it that just makes it absolutely perfect for everyday wear. The brow shades are the perfect consistency between not being too soft or too chalky so props to Tanya for that. Also included inside is a decent sized rectangular mirror along with a brow brush and a pair of tweezers. This is something that's definitely worth the money in my opinion. 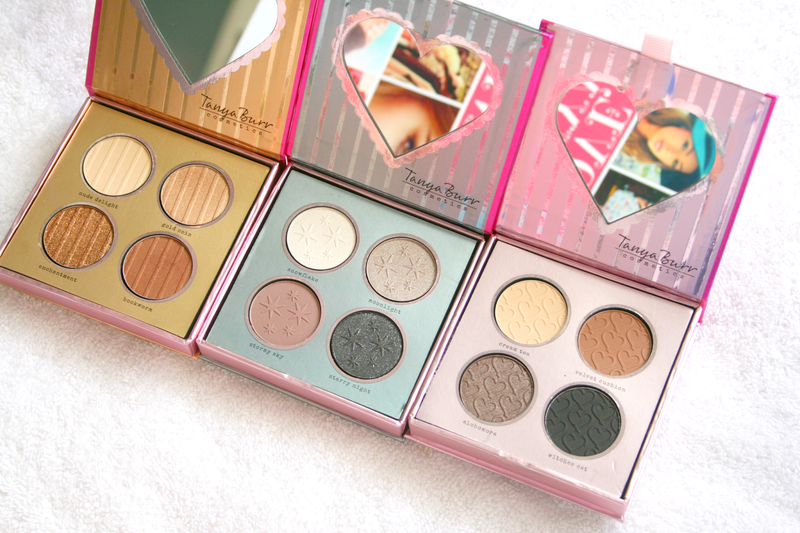 Onto the eyeshadow palettes now okay so I am going to admit, I have previously tried Tanyas range (lipglosses, nail polishes and lashes) and when she announced she would be bringing out three eyeshadow palettes I knew I wanted them all. However I did doubt the quality and if they'd actually be good due to the reason that I could not find swatches anywhere, like I literally google searched everything but nothing appeared so I was super excited for when they finally arrived so I could swatch them! Firstly how adorable is the heart shaped mirror inside, honestly the cutest thing! 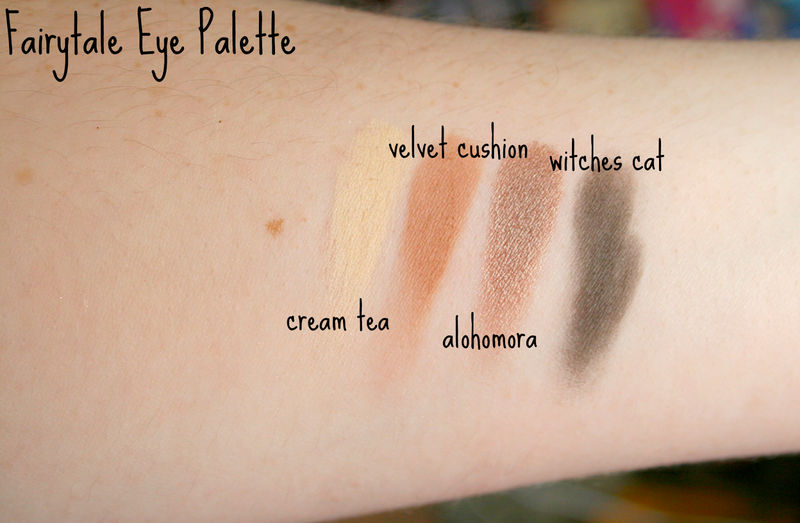 Just like all of Tanyas other products I was blown away by the quality when I swatched all four palettes. The shadows are creamy, pigmented and have really good lasting power and I honestly have no words to describe how impressed I am. 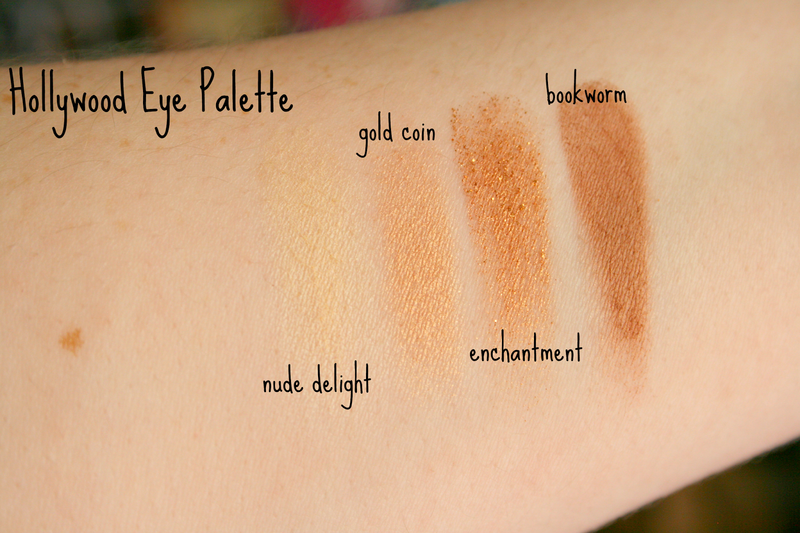 The eye palettes cost €8.46/£6.00 and again are well worth the affordable price tag! I cannot wait for Tanya to add even more to the range as I adore absolutely everything she has released so far. 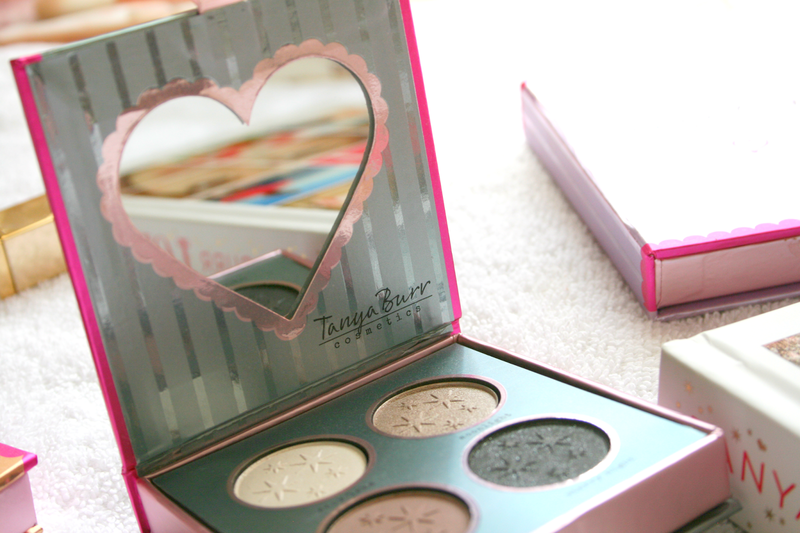 Have you tried any of Tanya's products yet? 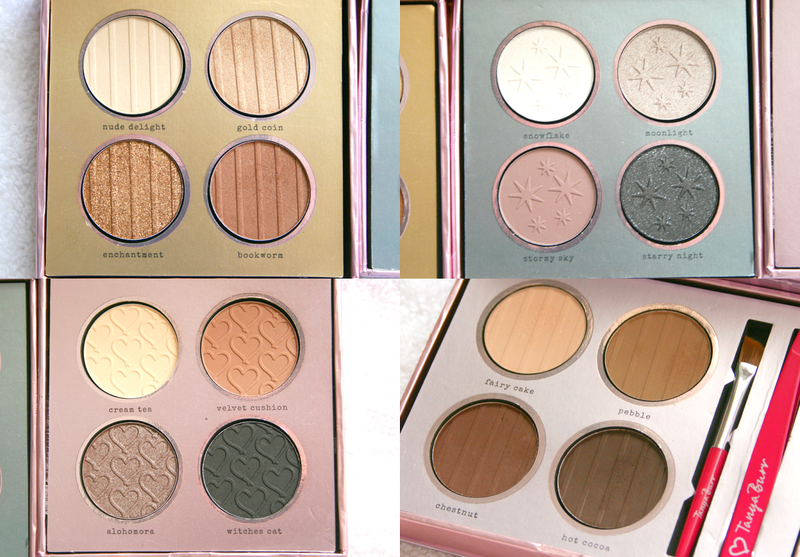 These look lovely - I've never tried any of the Tanya Burr products before, but there's always room for more eye-shadow palettes. 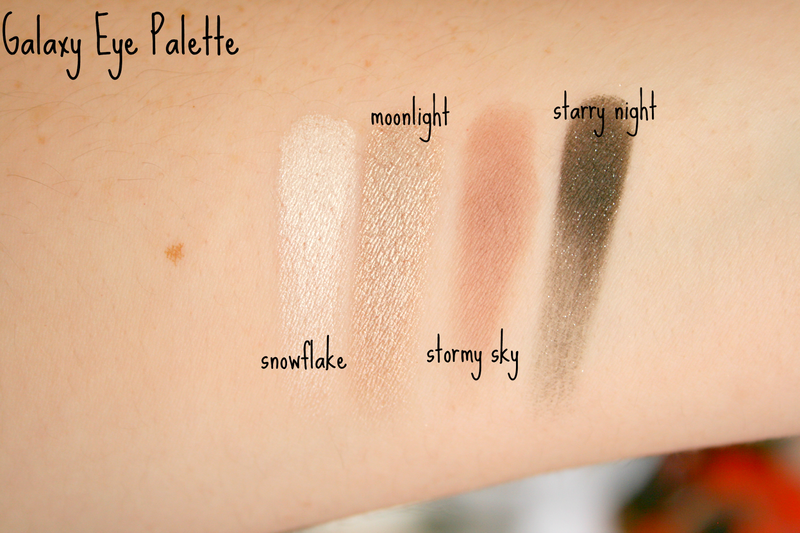 thanks for posting swatches of these, i had been looking everywhere! i haven't tried them yet, they aren't available in my local super drug so i can't wait to see them in real life! I love love looooove The Galaxy Eye Palette, it's just perfect! I wish i had this where i live( I want brow palette as well! Looks gorgeous! I was also in doubt about the quality of her eyeshadow palettes but it seems like they are indeed worth the price and great in quality! I own basically almost all of her previous lipgloss collection so was excited to get a hand on some eyeshadow palettes. I really wanted the Hollywood one but it's seriously sold out everywhere!